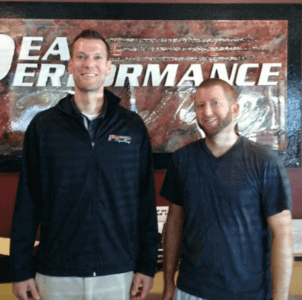 I started seeing Matt at Peak Performance for lower back pain that I had been having for close to 10 months. I had been through virtually all types of conservative treatment, including physical therapy at a different place, which had all been unsuccessful and I was fearing surgery might be my only option in order to feel any relief. After only a few sessions with Matt he was able to diagnose my problem and put me on a path to recovery. I had been to numerous specialists and none of them were able to tell me what Matt did. He has truly changed my life as I was virtually debilitated with no hope for recovery. Matt is very knowledgeable, conscientious and different than other physical therapists I’ve been to in that he truly cares about your situation and is dedicated to help discover a solution and see it through until you are back to 100%. I would definitely recommend him to anyone considering physical therapy.